There are lots of reasons why you might want to upgrade to Apple Watch Series 4. Its improved performance and edge-to-edge screen are a couple of them, but for the health-conscious, its promised ECG app is the headliner. Apple told us that it would be available before the end of 2018, and now a leaked internal document has confirmed its public release will come with watchOS 5.1.2. 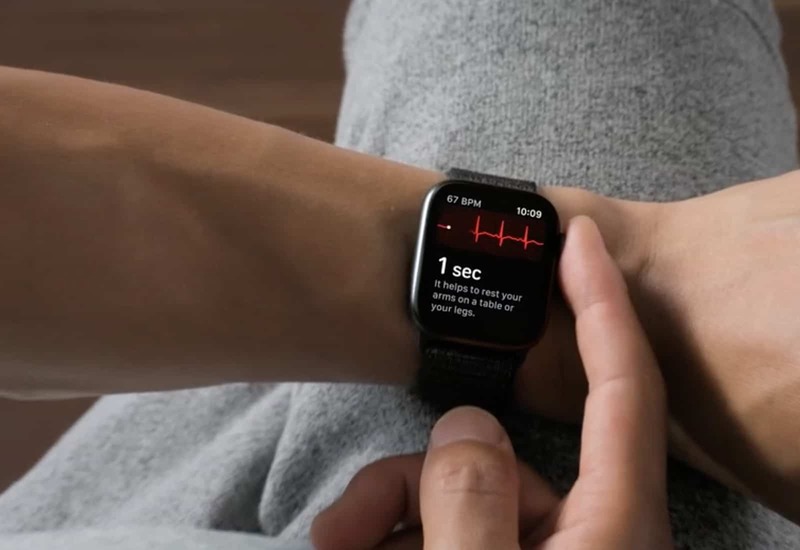 Apple Watch 4 is capable of generating an ECG similar to a single-lead electrocardiogram. Apple calls it a “momentous achievement for a wearable” — one that can help users detect a serious heart condition before they see a doctor. The ECG is enabled by electrodes built into the Watch’s rear and Digital Crown. Simply place your finger on the latter to form a circuit, and the device reads your heart rhythm in just 30 seconds. The data generated could indicate atrial fibrillation — a serious form of irregular heart rhythm — or sinus rhythm, which is a normal heartbeat. Many people don’t realize they have a serious heart condition, Apple says, and this could help detect it. But the hardware isn’t the only thing that’s required for this; Apple Watch 4 also requires an ECG app, which users have been waiting for since launch. MacRumors reports it’s almost ready. As anticipated, the document also explains that the ECG app is only approved for use in the U.S., so you won’t see it elsewhere yet, even though Apple Watch 4 units sold in other countries do have the hardware to enable it. We can expect to see the feature expand its reach when Apple receives approval in additional territories. However, there have been suggestions that changing your location settings on your iPhone will enable the ECG elsewhere. Of course, you won’t be able to access the ECG app on older Watch models, which don’t have the necessary hardware. However, Apple Watch Series 1 through 4 will offer irregular heart rhythm notifications. Apple rolled out its first watchOS 5.1.2 beta in early November, so it shouldn’t be too long before it makes its public debut. Sadly, the ECG app is yet to appear in the beta, so not even registered developers can try it just yet.